A Consortium composed by EPTISA, GIZ and DRC has recently been awarded a 5,4 million Euro contract for implementing a three-year technical assistance contract in four partner countries-the Regional Housing Programme (RHP), Phase II. 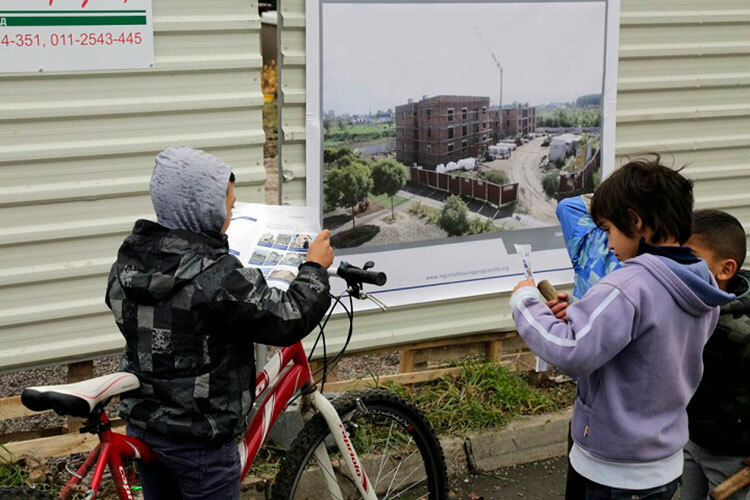 The “Regional Housing Programme” (www.regionalhousingprogramme.org) is a joint initiative of Bosnia and Herzegovina (“BiH”), Croatia, Montenegro and Serbia (partner countries-PCs), which is an integral part of the „Sarajevo process on refugees and displaced persons” initiated in 2005. The same Consortium has implemented the Phase I of the project, which started in 2012 and is still ongoing, meaning that the newly won contract will build up on the results of a previous phase, by continuing delivery of technical assistance to the partner countries in the provision of durable housing solutions to the most vulnerable refugee and displaced population following the 1991-1995 conflicts on the territory of former Yugoslavia, including internally displaced persons in Montenegro from 1999. In addition to managing the selection of beneficiaries and managing the provision of housing solutions, the project tends to create the additional value by contributing to institution building in the Partner countries, including local authorities. Living conditions of current refugee population upgraded through provision of housing and related services of an appropriate standard. Results to be achieved by the Contractor are envisaged at two levels: within Territorial WP and Regional WP, through implementation of the following activities: Project management and control; Sub-project preparation and approval incl. implementation of quality control of sub-project grant application; Implementation (provision of the housing solutions); Procurement; Visibility and communication: strengthening RHPs visibility in the region and more broadly in the EU; Monitoring Management Information Systems (MMIS); Provision of complementary and auxiliary support to the process of selection of beneficiaries, which is led by national authorities under supervision of UNHCR and OSCE etc. For the next 36 months team of international and local experts will be responsible for implementing this project. For more information about this project and our activities in the region, please contact eptisasee@eptisa.com.